After listening to a James Altucher podcast starring John Paul DeJoria, I knew I had to share the lessons learned immediately. If you don't already subscribe to Altucher's podcast, you can find a link to this podcast at the bottom of this article. This episode will consume roughly 70 minutes of your time, but it has an abundance of valuable sales, business and marketing lessons that make the investment worth every second. And to top it off, DeJoria is fun to listen to and gets your creativity juices flowing. One thing you learn early in your first sales job is how often you get rejected. DeJoria started off his career selling door to door, which probably has the highest rejection rate of any sales role. If you can't thicken up your skin and accept the fact that you will get rejected far more often than you will make a sale, then sales may not be for you. Think of rejection like a batting average. A professional baseball player has a very good year when their batting average is 300. In other words, 70% of the time he is rejected. Sales is no different - every day is filled with rejection. It is rarely (if ever) a personal rejection. So figure out why your product or service got rejected and LEARN FROM IT! 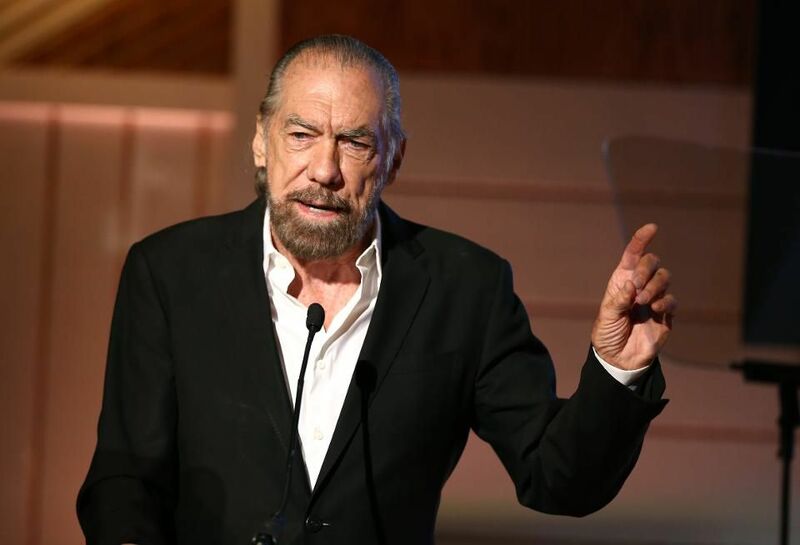 In this podcast, DeJoria talks about many of the products that he owns or co-founded: Patrón Spirits Co, John Paul Mitchell Systems (hair products), Aubio cold sore gel. And each time he talks about a new product, you can hear his eyes light up. He gets excited about the products because he believes in them. He knows exactly how to sell them by discussing their benefits, not their features. Do you believe in your product or service? Photo by Rich Polk/Getty Images for Environmental Media Association. Almost everyone in sales is selling a product or service that is NOT unique. That means you better have a unique story or pitch to sell your product. In this podcast, DeJoria tells the story of when he sold encyclopedias door to door when he was younger. Most people would pitch about how much information is in the books, and how smart it could make you (selling the features). DeJoria's pitch was, "I am in the area with a new educational program and wanted to get your opinion of it. It will only take a few moments”. THAT is a unique pitch! How can you position your product to be different? Do you have unique pitch? To listen to this podcast, click the link below! What is your favorite sales or business podcast? Let me know in the comments!